The ZONE is a small group training program usings MyZone’s heart-rate training technology. 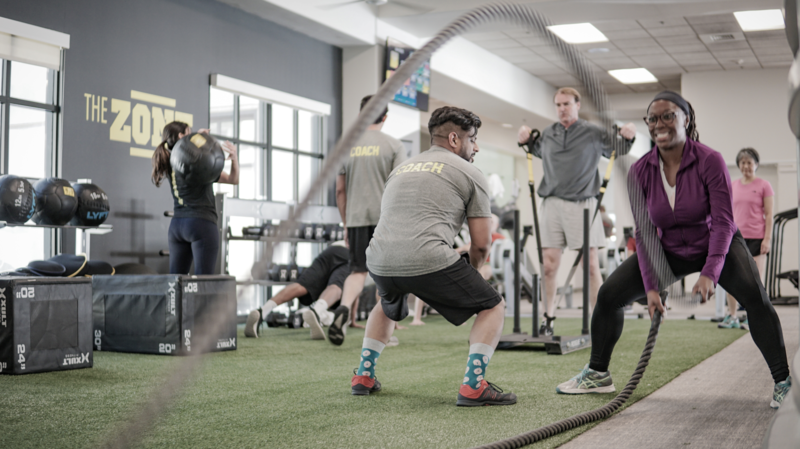 This combination of programming allows individuals to work in a team environment while getting the attention and guidance they need to reach their personal fitness goals from our motivating coaches. 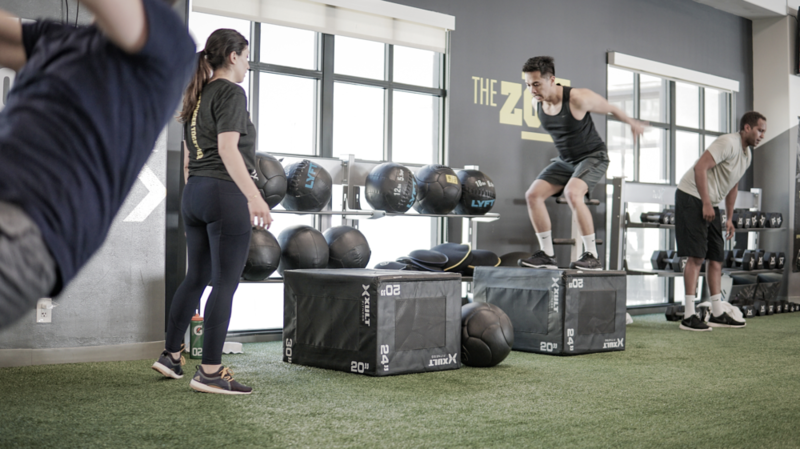 Members in The ZONE experience a fun, engaging, awesome workout burning 500 - 1000 calories in under an hour. Camaraderie - Training with MyZone allows members to build a small community both onsite and online through the MyZone app. Members can make connections, encourage friends, and earn points and status rankings. Accountability - Heart-rate training with a MyZone belts provides accountability on a number in addition to the accountability members receive from others members and our coaches. MyZone training zones are available in real time and are provided on screen during workouts. Members can see where they are and if they need to push a bit harder or take a few deep breaths and bring their heart-rate down. The understanding of heart-rate and calorie burn keeps members accountable to their health, fitness and weight loss goals, and is something our team can reference for coaching members as well. Increase Revenue & Retention - Our sites that are implementing The ZONE bring in $4,000 - $6,000 a month in additional program revenue. 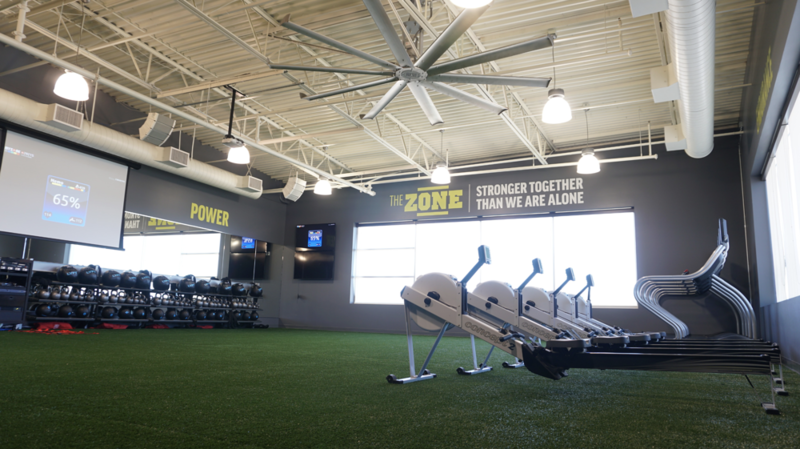 ZONE members are seeing results, staying motivated and engaged, which contributes to overall increased member retention rates. Variety - Training in the ZONE allows for members to experience variety in their workouts. They participate in cycling, boxing, strength, power and other HIIT modalities. These modalities keep workouts new and exciting. Ongoing Support - The MyZone app allows members to view their efforts live on their smartphone. The belt can be worn during any workout, anywhere, and the MyZone app connects to other wearable devices and 3rd party equipment for maximum versatility. 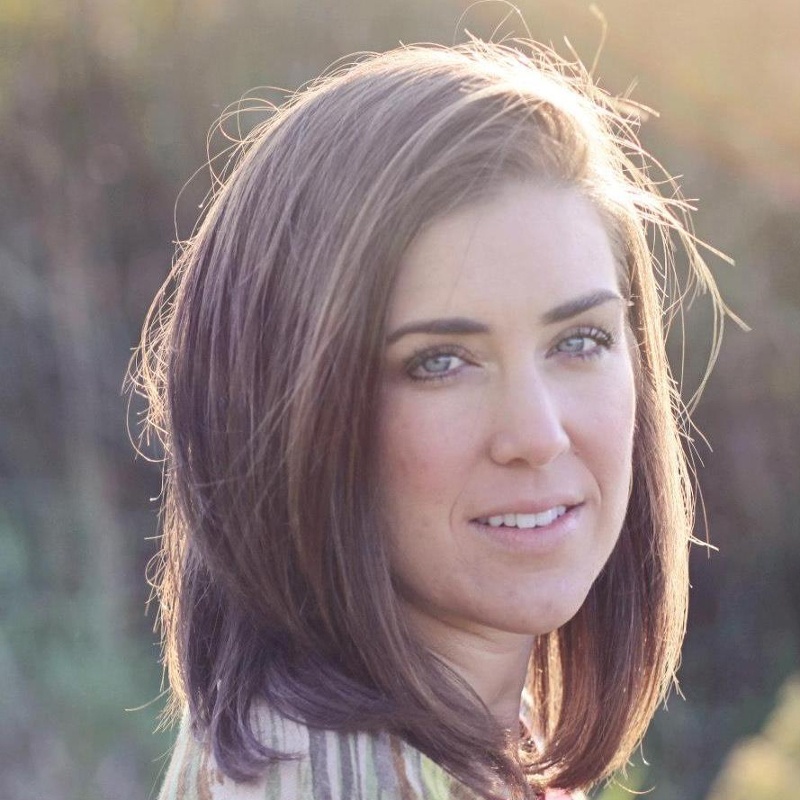 Have more questions about implementing MyZone heart-rate training at your fitness center?